Indigo Girls And Shemekia Copeland In Concert It's been 20 years since the Grammy-winning folk-pop duo Indigo Girls released its major-label breakthrough, achieving instant notoriety for "Closer to Fine." Since then, it's released a long string of warmly received, independent-minded CDs. Hear Indigo Girls perform live in concert from WXPN in Philadelphia, followed by Shemekia Copeland. It's been 20 years since the Grammy-winning folk-pop duo Indigo Girls released its widely beloved major-label breakthrough, achieving instant notoriety for the hit song "Closer to Fine." Since then, members Amy Ray and Emily Saliers have released a long string of warmly received, independent-minded CDs, the latest of which is the forthcoming Poseidon and the Bitter Bug. Click the link above to hear Indigo Girls perform live in concert from WXPN and World Café Live in Philadelphia, followed by Shemekia Copeland. Recorded during a three-week stretch in Atlanta, the new album showcases a less polished sound for the duo, as well as an adventurous side that finds room for soulful R&B. For those who prefer Indigo Girls without full-band arrangements, the album will come with a bonus collection of acoustic versions. 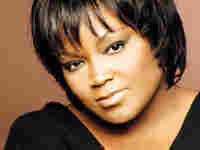 The daughter of blues guitarist and singer Johnny Clyde Copeland, Shemekia Copeland was greatly influenced by her father's work. As a child, she would often accompany him on tours, making her own mark in the blues circuit. In 1998, the 19-year-old established herself as a bold new artist with the release of her debut album, Turn the Heat Up! Her style, which blends blues, soul, funk and jazz, has earned Copeland a Grammy nomination, while allowing her to open for the likes of The Rolling Stones, B.B. King and Taj Mahal. Copeland's new album, her fifth, is titled Never Going Back.